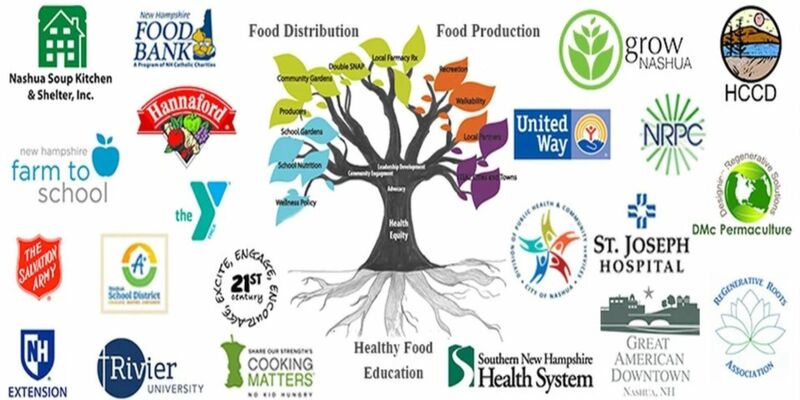 The Greater Nashua Food Council is committed to making healthy, local food more accessible. This is partnered with a passion for making a healthy life-style fun and desirable. The Council serves as a forum to enhance communication and collaborative projects among diverse organizations and constituencies. Working together, we can all contribute more effectively to the evolution of a resilient local food system, one that that nurtures the health of people, the local economy, and the planet at large. For text-to-donate, text GNFC1 to 44-321. Nashua Soup Kitchen & Shelter Inc has partnered with Give Lively to securely process your online donation. This transaction will appear on your credit card statement as "Nashua Soup Kitchen & Shelter Inc". This transaction is subject to Give Lively's Terms and Privacy.